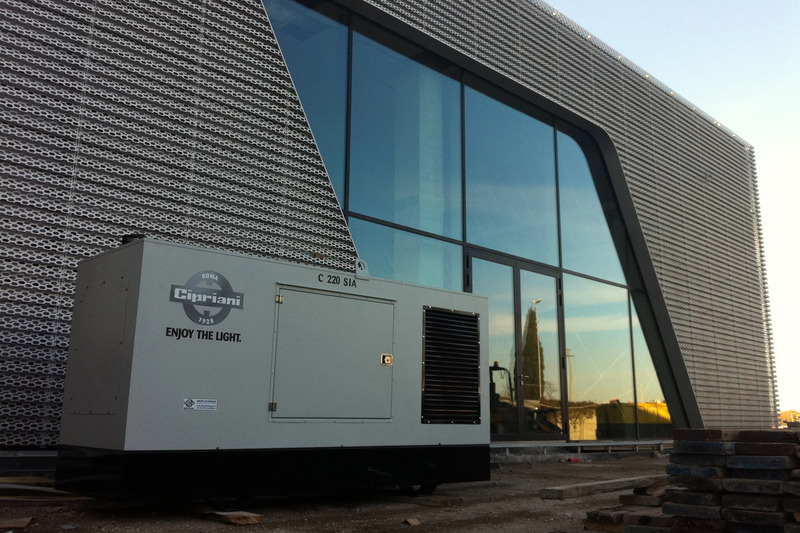 Cipriani® generators have pre-integrated systems to guarantee various operations including: constant maintenance programs, mobile energy, energy in case of emergency, requests for sudden loads, voltage drops and for any special event. Cipriani® rents the most reliable and efficient Generating Sets available on the market, both for short and long rental runs. All components are designed and built to perfectly match your needs. Our specialized staff will look after the on-site electrical and hydraulic connections. Furthermore we provide 24/7 maintenance and support service for any need and to grant maximum efficiency and quality. Cipriani® offers a comprehensive range of quality products for any application. Our generators are supplied with manual, automatic and parallel control panels. Reliability, speed, availability throughout the country and internationally: if you need energy, rent it with Cipriani®.